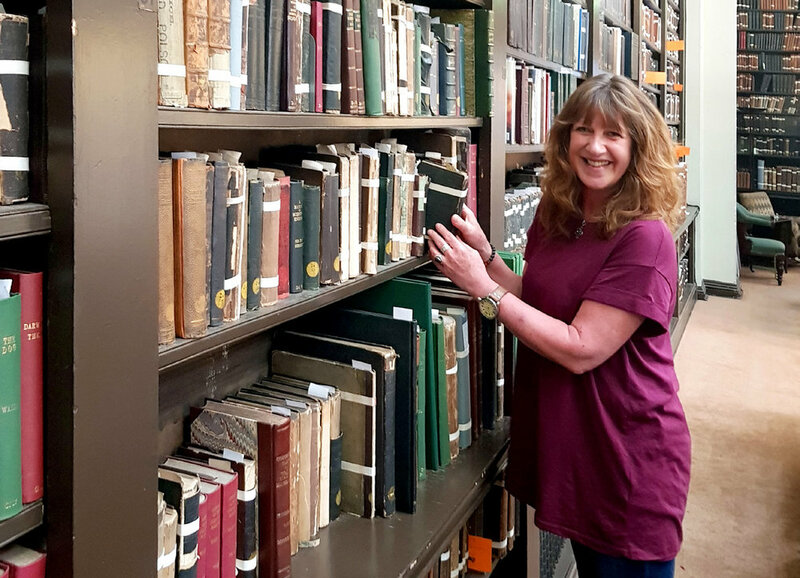 It is our aim that volunteering at The Portico Library will provide a rewarding experience by giving you a valuable opportunity to engage with the Library’s lively community and become immersed in its daily operations. We are currently recruiting so if you would like to learn more please fill out this form and return it to the address indicated. “Since the very first day, each time I walk into The Portico Library, I have a different experience as a volunteer. I have climbed a retractable ladder hooked to a high iron bar to place a book on a shelf that would give an eagle vertigo, pressed a buzzer behind the reception desk to open the downstairs street door, smiled and greeted visitors after they’ve climbed the flights of stairs, recounted facts about the library and explained ‘polite literature’. At events, I have poured wine, taken £20 notes and handed back silver coins, balanced trays of empty glasses, cut cheese onto plates and emptied Italian snacks into bowls. I’ve washed up, put chairs out in rows and stacked them up again! Smiling, talking and learning. Meeting people you’d never meet unless you were in The Portico at that particular moment. I have seen images in books beyond my imagination. I’m inspired to explore the books about female travellers and to write about what I find in their words and stories. I’ve laughed until my cheeks ache and been moved to tears. I’ve hung pictures and taken them down. I’ve popped bubble wrap. And made friends. Friends with the wonderful Portico team, library members and curious visitors. “I am studying art history and history of religion with the Open University whilst it is challenging studying and taking care of my two daughters, I wanted to begin my journey towards working in artefact conservation and restoration. It might sound dramatic but from the first day I stepped into The Portico as a volunteer I felt like I was home. No day has been the same, unless it involves a good spread sheet. I have gained valuable knowledge from the opportunities I have been given. I have learnt how to help clean and protect some of the more delicate books, which was a dream come true. To have also helped with the exhibitions and events, gaining useful experience in public relations an events organising. However, it isn’t just these ‘out of the ordinary’ jobs that made my time here stand out; it’s the welcoming faces as you begin your shift, it’s the friendships created, it’s the sense of belonging and being a valued member of the team that makes it a unique and rewarding volunteer experience. Being involved in the daily running of the library is in its self, a job of a life time. Meeting The Portico’s eclectic members and interacting with visitors from all over the world, listening to their fascinating tales makes each day a joy.